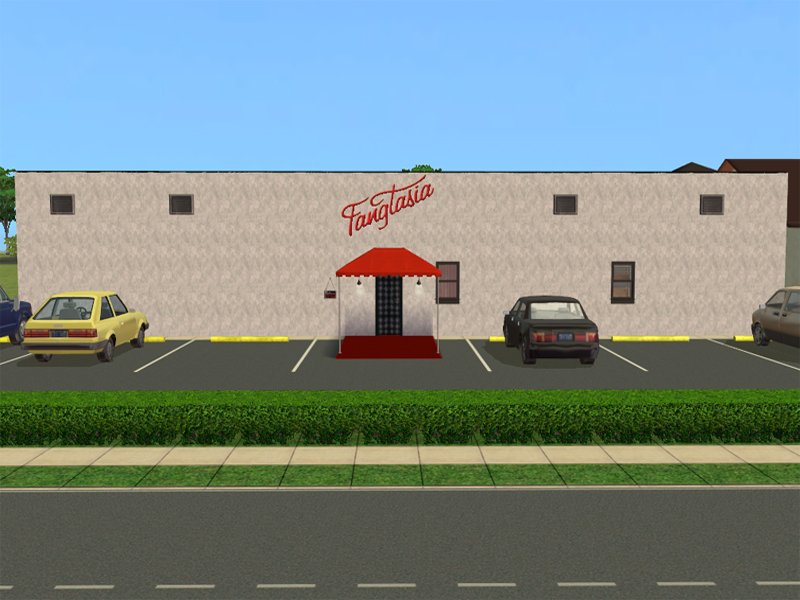 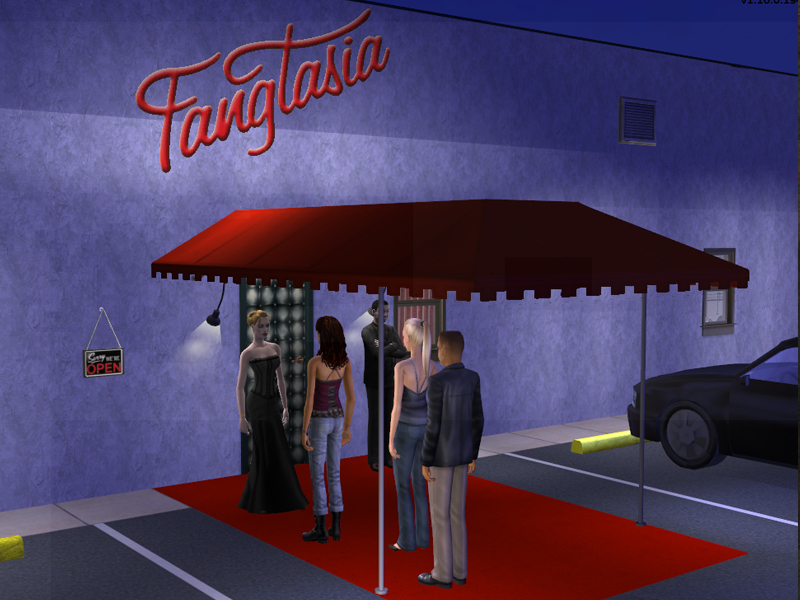 In the True Blood series, Fangtasia is a popular nightclub/bar where humans can meet and mingle with vampires. 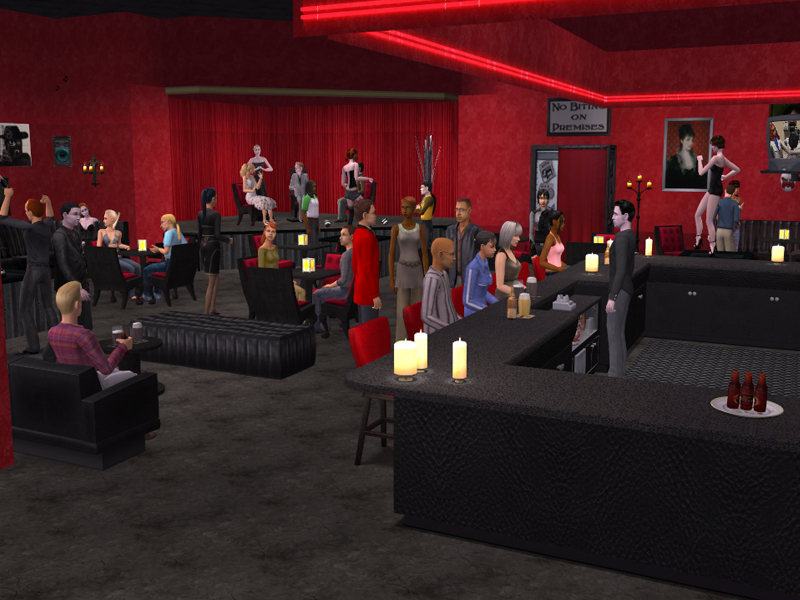 Sookie refers to it as a vampire Disneyland because it offers a touristy-goth atmosphere. 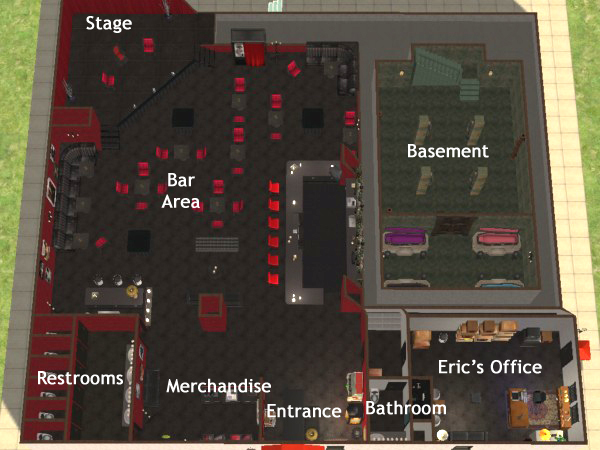 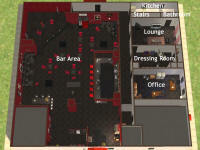 The building includes the main bar area with a stage complete with Eric's throne, as well as dance platforms for the vampire dancers (You will need to use the 'moveobjects on' cheat to put them on the platforms), a merchandise area and restrooms. 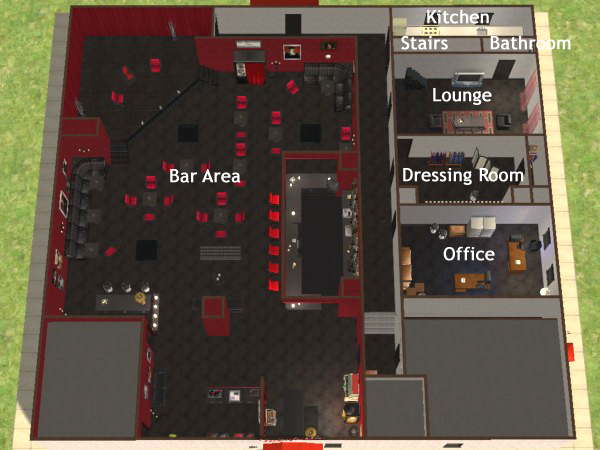 The ground floor also has Eric's office, a second Office for Pam and Chow, Dressing Room and Lounge for visiting performers, Kitchen, and Bathroom with shower. 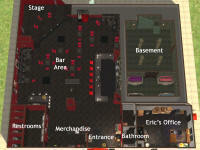 The lower floor is the Basement 'Dungeon' along with a 'Crypt' that sleeps four coffins. 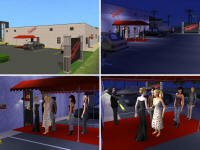 *Image credits go to Fanseelamb for her brilliant True Blood character Sims.